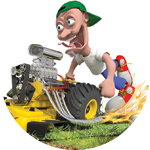 Home - Kutter's Grounds Maintenance, Inc.
Is your lawn thirsty? Call Us! 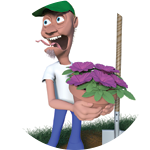 Kutter’s Grounds Maintenance, Inc. was established in 1995 by Ron Kutter. With a truck, a mower, a weed eater, and a vision; Ron pursued his dream of starting his own business. Over the years Ron has met many challenges and has overcome great obstacles; from tropical storms to a failing economy and even an oil spill. 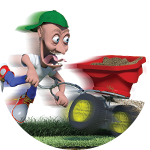 Despite these challenges, Kutter’s has grown and flourished into one of the largest full-service lawn care companies on the gulf coast. Kutter’s has been designing and installing beautiful landscapes along the gulf coast for over 18 years. Increase your property’s value with curb appeal! We can even provide beautiful solutions to problem areas. Kutter’s can give you a lush landscape that adds value to your property and becomes a place you love to hang out. Rain is the best medicine for your lawn. However, it isn’t always there when you need it. An irrigation system provides a dependable water source. This system can be tailored to the needs of specific types of sod, plants, soil and for the season. Irrigation is important for a healthy lawn. Contact us today for all of your irrigation needs. You want your landscaping perfect...and so do we!